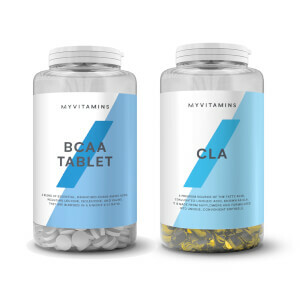 What Are myvitamins BCAA Tablets? 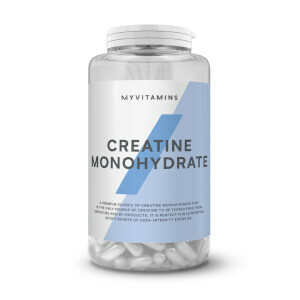 myvitamins BCAA is a precise blend of branch chain amino acids, including Leucine, Isoleucine and Valine. Why Use A BCAA Supplement? BCAAs are essential amino acids that are important for various functions in the body. But we can’t produce them ourselves. We can obtain some amino acids in high-protein foods, like meat and dairy, but BCAAs can be more difficult to obtain from the food that we eat. 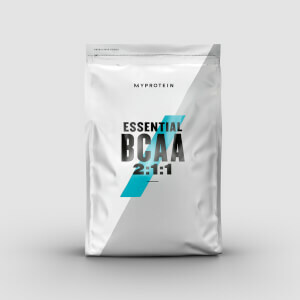 Precisely formulated into an optimum 2:1:1 ratio, our BCAA tablets are designed to maintain intake of three essential amino acids, Leucine, Isoleucine and Valine. What Works Well With BCAA Tablets? BCAAs are often consumed as part of a fitness routine. To support their effectiveness, try adding 10mg of vitamin B6 to every 10g of BCAA. For optimal intake, our experts recommend taking 4 tablets twice daily. BCAA's (Leucine, Isoleucine, Valine), Anti-caking Agents (Microcrystalline Cellulose, Di-calcium Phosphate, Magnesium Stearate). Stylish Product, does the job! I bought the Snack Box on site, so I found myself coming back to check what other products they had and saw the new range of vitamins. I usually used a competitor but I liked how these looked, and the price was a lot more attractive so I've swapped and whilst its still early doors they seem to be working exactly the same. I am going to look at more of the range, as there's definitely a lot here on site. The delivery was spot on too.